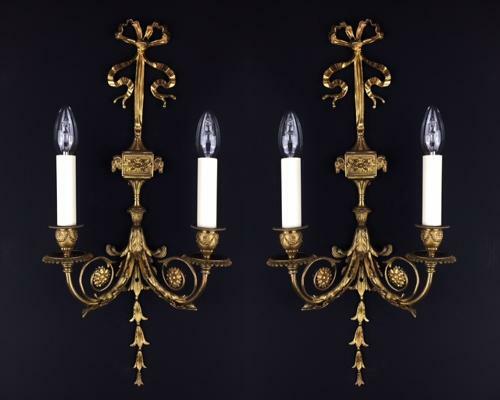 A set of 5, Louis XVI style gilt bronze, twin branch wall lights. With a ribbon bow and acanthus leaf decoration. Can be sold in pairs.